225 Sackville St #904- Bright and beautiful 2+1 condo! 225 Sackville Street #904 is a bright and beautiful 2+1 bedroom condo that you are going to love! Trendy dark laminate floors, two modern baths with crisp clean lines, a private den that would make an excellent office or playroom, a master suite with an ensuite bath, and a second full-sized bedroom with large west-facing windows. Entertain your family and friends in the open concept living room/dining room. 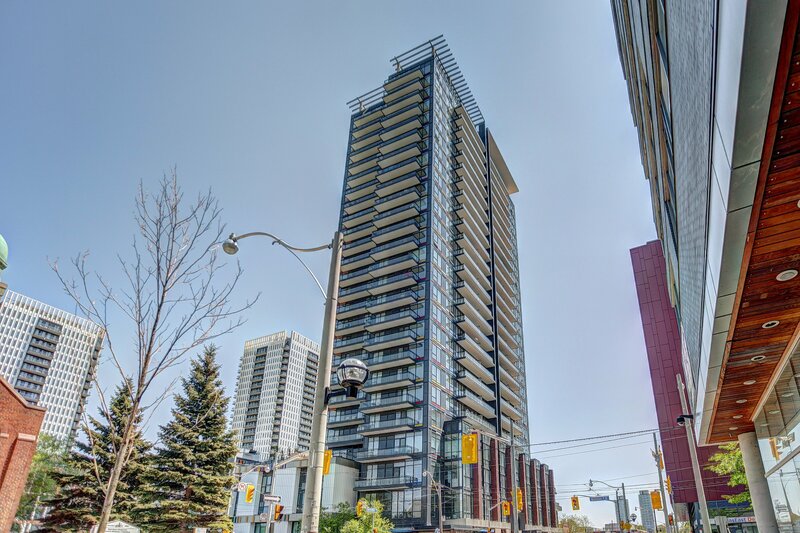 This beautiful corner space has wall-to-wall windows, south AND west-facing views, a walk-out to a large balcony, and a gorgeous open concept kitchen with stainless-steel appliances and a large centre island. Live here and you’ll be steps away from transit, the Regent Park Aquatic Centre, shops, parks, restaurants and more!